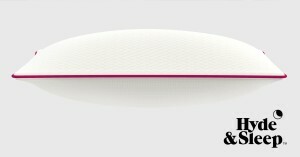 Simba Sleep - Two free Feather and Down Pillows - offer extended! Mattress purchase you can still receive two free Feather and Down Pillows! The offer has been extended until midnight on 23rd August. Promote on site now to your readers with the code SUMMER18, and there are various sized banners with this offer message in AWIN for you to use if you wish. delighted to introduce their latest offer. means up to 40% off! message in AWIN for you to use if you wish. Please get in touch if you have any available exposure to support the sale! Offer valid until Tuesday 3rd of July 2018 at Midnight. 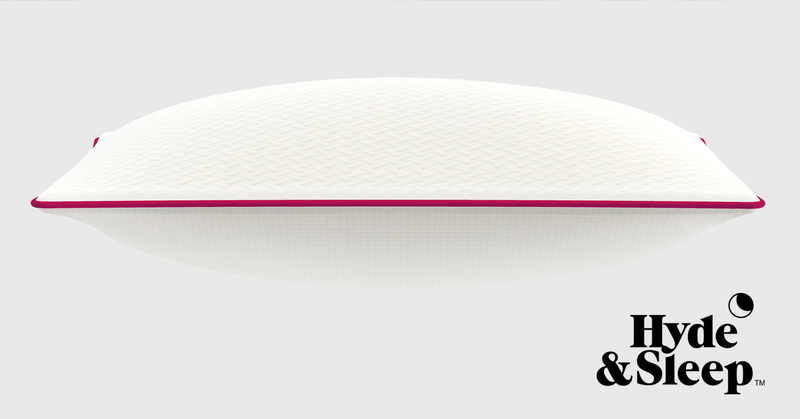 WE ARE DELIGHTED TO ANNOUNCE OUR FREE PILLOWS WITH EVERY MATTRESS, BED FRAME OR BUNDLE OFFER. SO TREAT YOURSELF TO A MATTRESS OR OUR FANTASTIC NEW BED FRAME OR BOTH AND RECEIVE THE PILLOWS TO MATCH. 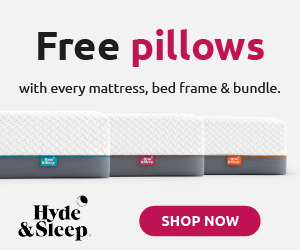 OUR CUSTOMERS WILL RECEIVE £98 WORTH OF PILLOWS WHEN THEY ORDER A HYDE & SLEEP MATTRESS, BED FRAME OR BUNDLE. IF A CUSTOMER PURCHASES A BUNDLE THEY WILL RECEIVE A FURTHER 10% DISCOUNT. Offer valid until Monday 11th June 2018 at midnight. Offer valid until Monday 4th June 2018 at midnight. Summer is fast approaching, as are the long days spent lazing in the garden, those midsummer barbeques and those deliciously warm nights. Get organised early to make sure you are ready for when the sun starts shining and remember to update your interiors, by introducing summery fabrics and colours from our Summer 2018 collection, available from Thursday 19th April 2018. WE ARE DELIGHTED TO ANNOUNCE OUR FREE PILLOWS & BEDDING WITH EVERY MATTRESS OR BED FRAME OFFER. SO TREAT YOURSELF TO A MATTRESS OR OUR FANTASTIC NEW BED FRAME AND RECEIVE THE BEDDING TO MATCH. 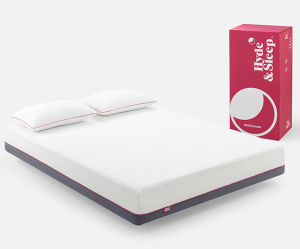 OUR CUSTOMERS WILL RECEIVE UP TO £308 WORTH OF EXTRAS WHEN THEY ORDER A HYDE & SLEEP MATTRESS OR BED FRAME. THIS INCLUDES SMART PILLOWS, A FITTED SHEET, A DUVET AND A DUVET SET. Offer valid until Tuesday 20th March 2018 at midnight. OKA are pleased to announce they are offering free standard UK delivery on all orders. This offer is good this weekend only, starting Friday 23rd February and running until midnight Sunday 25th February 2018. Simply use code FREEDEL218 at the checkout to redeem the offer. Terms & conditions - Valid from Friday 23 - Sunday 25 February 2018. UK mainland only. Excludes express delivery. Enter code FREEDEL218 at the checkout. Offer cannot be used in conjunction with another promotion/discount and cannot be applied retrospectively. OKA's new Spring Collection arrives online and in-store this Sunday 28th January, but for those who simply can’t wait, OKA have hand-picked a selection of pieces as a teaser of what’s to come. Brighten up your home this spring with realistic faux flowers and plants, colourful lamps and stunning mirrors, and get the new year off to a stylish start with some brand new furniture. Can we tempt you to take a look? The preview will begin Monday 22nd January and last until the collection launches Sunday 28th January. Shop the OKA Winter Sale and save up to 50% off on over 150 pieces of furniture and accessories, including a wide range of OKA favourites and best-sellers. Available from Tuesday 26th December. Limited stock available. You can get a cheeky sneak peek in the Winter Sale Preview! Visit the OKA website from 21st December until 25th December to shop the Winter Sale ahead of everyone else! Terms & Conditions: Offer available from Thursday 21st December 2017 - midnight Tuesday 7th January 2018. Offer only available on Sale category. Offer cannot be used in conjunction with another promotion/discount and cannot be applied retrospectively, exclusions apply. Welcome to the latest newsletter from LOMBOK and Silverbean.It's that time of year again, holidays are over and it's all systems go. There's no better way to beat those back to work blues than up to 30% off a selection of our handcrafted collections. These discounts are automatically applied on site until Monday 6th November, with Free Delivery on all discontinued accessories! In line with the launch of the Mid-Season Sale on site, we have uploaded a number of new banners in a range of sizes to the network. If you have any questions regarding promoting banners onsite, please do not hesitate to get in touch! Over new 250 pieces of furniture and accessories in OKA's new Autumn Collection. The collection also includes new Autumn inspirational looks with the first being 'Riverside Residence'. This is a modern wharfside apartment with a traditional interior. The Autumn Collection will be available from Friday 1st September until Sunday 29th October 2017. LOMBOK are pleased to announce they are now offering up to 30% off selected styles with their Back To Work offers! Combat the back to work blues with discounts on a selection of handcrafted collections, including furniture, decorative home accessories and made-to-order upholstery. These discounts are automatically applied on site and will be available until midnight Monday 25th September 2017. In line with the launch of the Back To Work promotion on site, we have uploaded a number of new banners in a range of sizes to the network. 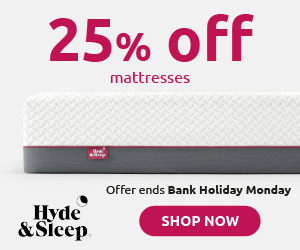 25% OFF MATTRESSES, PILLOWS, DUVETS, DUVET SETS & MATTRESS PROTECTORS. OFFER VALID NOW UNTIL BANK HOLIDAY MONDAY (28TH) 2017.